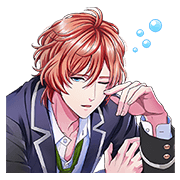 http://www.line-stickers.com/ – Boy Friend (BETA) Line Sticker |The school romance game, Boy Friend (BETA), makes its LINE sticker debut! 45 boys from Fujishiro Academy are here to join in your chats. Which one’s your favorite? Next post CATURDAY: Let’s Get Loud!